M1 Millenium Metro (The Yellow Metro) - Absolute Tours Blog: Walking tours, Private & Specialty Tours and more! 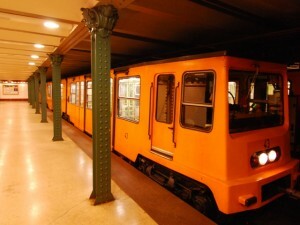 The M1 or Millenium or yellow metro line was the first and simplest of Budapest’s metro lines. It has just 11 stops, quite close together, so the entire route only takes about 15 minutes. The trains arrive every 2-5 minutes at peak times and every 10 minutes in the morning and evening. 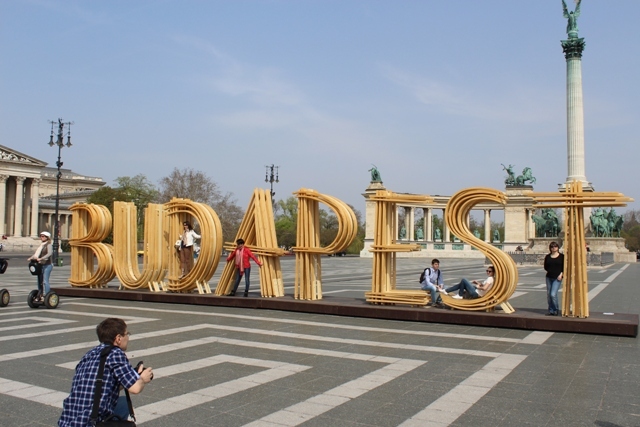 Hop on and use it to go up and down Andrássy Avenue from the center of downtown, out to Heroes’ Square, or to and from the Széchenyi Baths. From 2017/2018 it will be useful for the new Museum District too. It was one of the first underground railways in the world, built in 1896 for the great Hungarian World Millennium Exhibition, hence the name. Hungarians will tell you it was the first on the continent, which is a sneaky way of saying it was actually the second in the world, after the London Underground. They can be sneaky. Owing to the cut-and-cover technology of the day, it is not actually very far under the ground, and if you want to reverse direction for example, you must exit the metro, cross Andrássy Avenue and re-enter it on the other side. The M1 mostly follows the line of Andrássy Avenue, with the right lane going northeast and the left lane going southwest. Railway buffs can enjoy the underground museum at Deák Ferenc Tér metro station. There are heaps of models and diagrams. And also some very lengthy descriptions await the determined rail buff, (or those wanting to escape bad weather or people who find it difficult to sleep). Address: End stops at Vörösmarty tér and Mexikoi út. Best time to see it: Anytime it’s open.